Yet again I have left this blog too long, everylife seems to have rudely gotten in the way! Anyway, over the next few months this blog will probably start to become more proactive (hoorah!) as we are changing our journey in life at least for the short term. I have been looking into the transfer for the children in the hopes there is something they can attend that is following Montessori but to no avail, not for the boys at any rate. The wee miss is going to be attending a Montessori nursery in the afternoons but the boys are going to be staying home and we are going to home educate in Montessori style. So the blog will now follow our journey as we venture into this area. Both boys are now elementary age so our curriculum will be within this plane of development. I am a trained state/public school teacher and naturally have those traditional teaching methods ingrained in my head, I am not Montessori trained (yet!) and so I will be learning new ways too. To date all I have done is trawl through the types of Montessori equipment that I think I will really need and that are probably hard to make and the rest I will make or adapt or improvise as need arises. 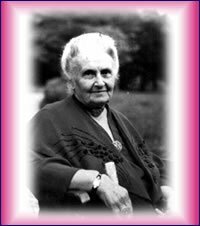 I don't want to follow a rigid timetable, but do intend to follow a daily pattern or routine, just as Montessori would have done. The boys will be free to do whatever the work they need to do from their assignment book which I'll plan the week before and then we'll discuss any visits or outside activities on a Monday morning meeting that might need to be fitted in and take up space they were expecting to have to work in. I am still working through the early thoughts right now but the areas I wish to have daily are a quick mental math each day and then within the course of the week, handwriting, spelling and journalling. The rest of the week I hope to go more with the flow (hard for a traditional teacher, the lure of a text book and lesson planner are just too great). I have chosen at this point to break down the areas of maths and language that I feel they probably should cover or know at this point and get these covered throughout the weeks using the tactile materials that Montessori made, history, geography, science, botany and zoology I intend to work into our "curriculum" more from a "go-see-expand" idea; we'll visit somewhere perhaps or use something poignant in the news and then expand the topics from that for the week, or we may use the five great lessons to inspire our direction. Added into this equation is the Little Miss who will be with us in the mornings, so I may also incorporate some practical life, sensorial, maths and language based on her development too. My current tool kit is looking quite plush and I'm feeling pretty inspired right now. I bought much of the stuff from Montessori Outlet which sells the stuff at cheap as chips prices and it is pretty good quality too (not pure Nienhaus natch!) but their selection of what I really feel I need at Elementary level is limited, that said, I am envisaging that gradually as the mind works more abstractly the boys will use less materials anyway and will be able to immediately work out on paper. I think for now, that will work for us. I am hoping to be able to make other resources as we go along. There are a plethora of great sites that have printable Montessori resources that I will download and use. One of my immediate issues is the need to learn to use the materials myself and all their developments otherwise Master Beehive the elder will be teaching me, which, actually isn't a bad thing as it'd reinforce it for him, but it makes it hard for me to use them for extension work if needs arise. So, I hope you'll stay with us and follow the ups and downs we come across as we all learn new things from this. Hello :) I just signed up for your rss feeds & wanted to say hello! I'm looking forward to reading more.